Reviewer’s Note: Flash fiction is a style of fictional literature of extreme brevity.There’s no widely accepted definition of the length of such stories, but they tend to vary from about a 300 hundred word minimum to a maximum of a 1,000 words. Grant: The father who rips the family apart to move from Las Vegas to the valley-hidden town of South Bend. 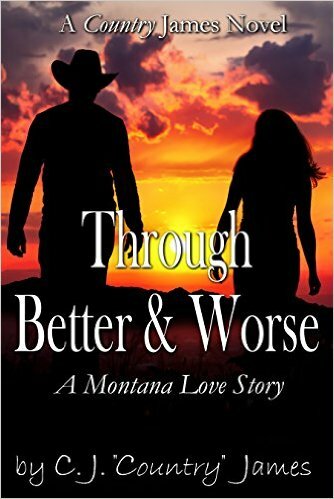 He blames his wife, but Grant has a secret that could destroy them all. John: A teenager who insists on running with the wrong crowd and doing wrong things—in Las Vegas and, now, in South Bend. His wrong choices are just too easy to blame on his screwed up family. Jane: In apparent response to a teenage pregnancy and abortion, this former cheerleader and popular high school student is now anorexic and agoraphobic. But does anyone know the whole story? Carrie: A confessed adulteress, she blames herself for fracturing the family. Grant says they can start over again in South Bend, but his behaviour says differently. South Bend: There’s something very wrong with this town. In fact, things are so wrong that should one of these four put it all together, escape will still be virtually impossible. Maxwell Smart: Otherwise known as “Smart Kitty.” This is Jane’s cat, and he’s able to see what the humans cannot. Will he somehow find a solution, a way to save them from the hell in which they are about to descend? The Hidden Valley: The Whole Story is an ambitious novel. First it attempts to tell the story from 5 different viewpoints. One of these characters is a cat (shades of Robert A. Heinlein?). Second, most chapters are supposed to be flash fiction—very short, fast reading, stand alone stories that, in this case make up the body of the larger story at hand. And, finally, the novel is heavily influenced by Stephen King. Considering that Lane’s last book was a tribute to Poe, one wonders if this novel is meant to serve a similar purpose, that it’s intended to give an obvious nod to King. A lot for a reader to take in, isn’t it? So where do we begin our analysis? The different viewpoints: I found the different viewpoints were almost necessary to this novel. The family is one which holds many secrets, and riding along with the different characters is the only way some of them are revealed and explained. I will say including a cat in the mix threw me off for awhile, but as the study was done so well, Smart Kitty and I were soon good friends. No, there’s only one issue I had with the multiple points of view. I found that Grant’s story was somewhat chaotic or patchy. Leigh M. lane could have used Grant to create a much darker flavour of novel, but her choice of extremely short chapters or scenes made that kind of development almost impossible. Using Flash Fiction to create the form and pace of the novel: I’m all for flash fiction. The form has been around for a lot longer than its name. 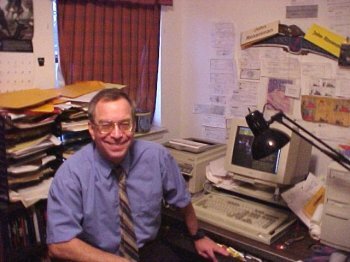 Vignettes and short, short stories and novels written in short punchy scenes (James Patterson, in his early days) have been used experimentally for decades. In fact, I must confess that until recently I had no idea what flash fiction was. So, when I came across the definition, the light bulb in my head came on, and I said “You’ve used this style before.” My poetry, novels and even short stories have quite regularly used the ultra short style that is flash fiction. But I have, on occasion, mostly in my last novel, run into problems with the form. Lane has done the same. If you’re going to use experimental forms in literature, it pays to know the basic rules so well that either you never forget to apply them, or you break those same rules consciously and obviously. While I enjoyed Lane’s story and found that, for the most part, it flowed well and was filled to the brim with interesting characters, her flash fiction was incomplete. Any story, no matter how short, demands a conclusion. And in modern literature that conclusion must also demonstrate how the character has been changed or enlightened by his/her experience in said story. Lane’s chapters did not always do this, and when they did I often found them unsatisfactory as a sub-story within the larger story. Enter Stephen King: whether consciously or unconsciously, I think that Lane did indeed pay homage to King. Yet… her story was different enough, no one could ever say it was anything but influenced by the famous writer. For example, while Stephen fills his books with terrible human and nonhuman monsters, those monsters are never placed in the role or roles of protagonist. His heroes may be quirky or incomplete, but I don’t think they’ve actually been dark to begin with (some have become evil, but only through a complicated progression). Lane’s “family” is so damaged as to be morally corrupt and uncaring. It’s only against the backdrop of a far greater evil that we can forgive these things and begin to hope for these people. So where does King’s influence show itself. The cat, right from the beginning, reminded me of PET CEMATARY. The quirky characters—while most definitely original—are a page right out of the imaginary “King’s Guide to Writing.” The Rock Lady is a perfect example of a character that cries out King’s place in Leigh M. Lane’s life. Other obvious nod’s are THE MIST that envelopes the valley, a fog we know will contain a monster or monsters but that will also mark the boundaries of its power. In the possession scenes, we eventually get to see the monster as a predator rather than a completely evil being, reminding me of THE DARK HALF and SECRET WINDOW, SECRET GARDEN. Stephen King has also dealt with the idea of possession in many different ways: THE SHINING and DREAMCATCHER being the first of many to come to mind. The Hidden Valley also nods to King’s revisiting the theme of possession in that there are not only multiple possessions (The truck driver, Carrie, Jane and, to lesser extents, both John and Grant), there are layers of possession within South Bend itself. And finally, do you think that the primary character in the story is named CARRIE by accident? But this is what makes Lane such an effective writer: most of the references to King aren’t just giveaways—you have to look for them. In fact, I wouldn’t have put all these things together as readily if Lane hadn’t slipped and told me the book was influenced by King. Well… I probably would have caught the CARRIE reference. What I think: The Hidden Valley: The Whole Story, as an original novel that’s a combination of ghost story and horror, is a solid 4 stars. If the family had been a little less dysfunctional and the efforts of the monster a little more insidious, Lane would have a 5 star novel on her hands. But, as flash fiction stories gathered up and formed into a novel? The author was less successful here. Her endings definitely needed some work. From this perspective only, you might expect the novel would come in at 3 stars. Not. The missing endings don’t matter in a novel; we expect to have to turn the pages to find an answer or conclusion to a story thread. It may be that to make the book work Lane had to change the endings to her flash fiction, but as readers you and I won’t know unless we go back and read the actual flash fiction series that’s included with the book. I just don’t have the time. So, to Summarize: Experimental form. Only two words out of place. Flawless sentence structure (flow). Imaginative “bad things.” And the hard work of paying homage to The Master of Horror. 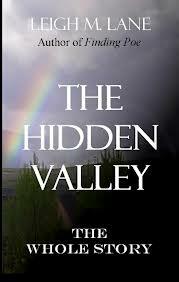 The Hidden Valley: The Whole Story is the real deal, giving a 4 star performance and offering readers something truly new to read. This is quite an accomplishment.